Dr. Lee grew up with a medical background. He did not understand, however, the concept of covering up pain with a pill, and wanted something different for his life. Interested in finding an alternative, he discovered chiropractic care and decided to follow the natural path to health. He attended Life University, which is where he truly fell in love with chiropractic. In 1995, he graduated with his Doctor of Chiropractic. 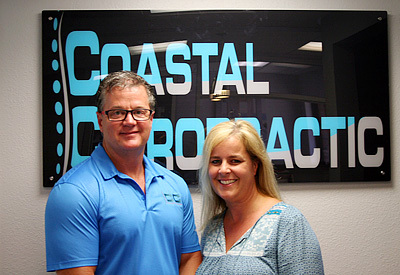 Over his many years in practice, Dr. Lee has acquired a deep and profound understanding of the role that chiropractic plays in helping people gain a healthy lifestyle. Along with the right nutrition, exercise, quality sleep and a positive mental attitude, it can give you a whole-body approach to better living. He practices what he preaches and only makes recommendations to his patients based on what he’s tried and has found to be successful.He stays updated on the latest within the health profession by taking regular courses on subjects such as chiropractic techniques, pediatric care and spinal rehabilitation. Athletes of all levels need an experienced health care provider. Dr. Lee is a participant in extreme sports and emphasizes helping those competing in surfing, skiing, wakeboarding, jet boarding and more. As a member of the International Chiropractic Pediatric Association, Dr. Lee is skilled in working with babies and children, helping them learn healthy habits young and maintain their health well into adulthood. He’s also a member of the Florida Chiropractic Association. If you are wondering what we may be able to help you with, contact our team today.